Finding a differential content niche which allows you to gain your own audience among the more than 250 million media and blogs available online. Establishing a crystal clear association between that content and the brand publishing. If anyone reading one of your articles with interest doesn’t know whom to thank for the information provided, your publishing efforts will be wasted. In my experience, journalist research and documentation techniques are necessary but not sufficient in Content Marketing. To discover the position it occupies our clients´ minds with respect to competing brands. To understand what assets (rational or emotional) may help us build our brand storytelling. 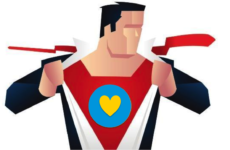 Three simple tools will help us: Brand Mapping, Brand ADN matrix and Brand Moodbard. A Brand Map is nothing but a graphic representation of how customers understand and appreciate the major brands in our market or segment. To draw a Brand Map we need the feedback from our customers. We could interview hundreds of clients and analyze the results obtained with sophisticated statistical techniques. But let´s be practical: you may well develop your map with the help of some basic qualitative data from forums, social media or, even better, asking a small group of 5-8 customers. First we should find out the two key purchasing criteria for customers. In this case we found that people choose a particular brand based on it being modern / classic or having a massive / exclusive design. We then produce a two-dimensional graph where those criteria occupy the horizontal and vertical axes. We identify competing brands (in this case we have considered the top 10 international jean brands) and we place them on the map according to their respective scores against the two key criteria. Again: we do not invent answers but reflect feedback from the customers we have had the opportunity to listen to. Our Brand Map offers a valuable diagnosis of how our brand is perceived by clients. Now we are in a position to begin start working on a content strategy to improve these perceptions. What does the brand do for me? How does it talk to me? How do I feel when using the brand? How do others see me when I use it? Again, we should not try to answer these questions ourselves. We should ask customers instead: meeting with a small group of them should suffice to gather the data we seek. As we saw in the Brand Map, Levi´s occupies the busiest area of ​​the map, having to compete with a wide range of widely distributed brands with a modest design component. 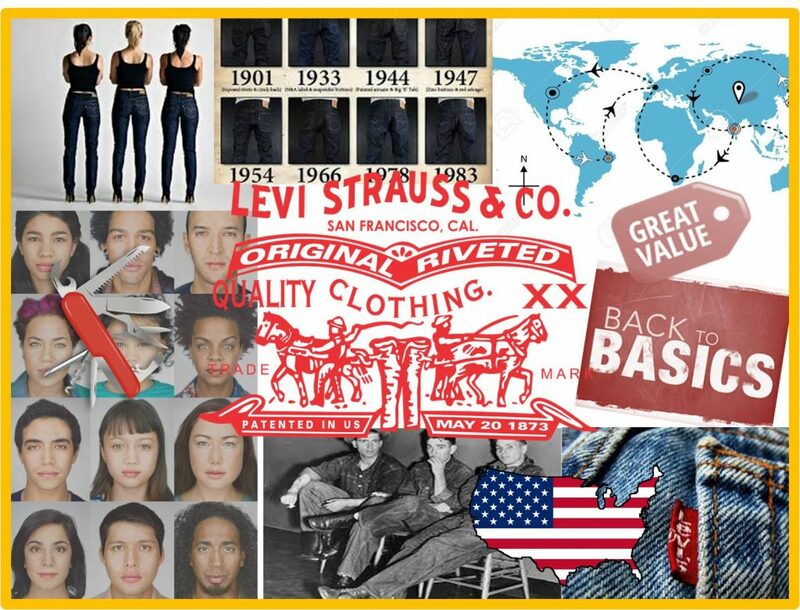 In order to increase its differentiation, Levi´s should look into its very essence in order to find arguments to develop a story which is compelling (and credible!) for its customers. As you can see, this simple DNA exercise has allowed us to pinpoint strengths (American heritage, reliability, openness…) on which we could build a powerful content strategy. Where does the brand live? In which physical spaces would we place it? What characters would occupy these spaces? What situations would occur in this territory? What objects would complement the territory? Can we define the territory look & feel (textures, colors, shapes, materials, smells, tastes, sounds…)? To become a publisher is a huge challenge. It’s difficult but by no means impossible as long as you don´t undertake it blindly. Brand Map, Brand DNA and Brand Moodboards are simple tools that will guide you in the process. With these three tools on the table, it will be much easier to produce content which is associable to the brand and able to earn a growing client audience. Active Story System: descubre una metodología de trabajo transmedia ¡real!